Tramadol is a synthetic opioid painkiller which is commonly prescribed for relief of moderate to severe pain. However, it is highly addictive and has a great potential for abuse due to the euphoric effects it produces. NHS Digital released figures in May 2017 showing that prescriptions of opioids have doubled in the past ten years. The number of prescriptions for opioid based painkillers has risen from 12 million in 2006 to 24 million in 2016. These statistics are alarming and, as a result, Addiction Helper are receiving more calls than ever before from those with an opioid-based painkiller addiction. Opioids in any form, whether legitimately prescribed, bought over the counter, or purchased as a class A off the street, are extremely addictive. They can cause a physical dependency within as little as 3-5 days of continuous use. Tramadol has been red-flagged by the NHS and media for its addictive properties and its potential to lead to death when abused. It is estimated that over 192,000 individuals are currently addicted to prescribed opioids in the UK. The primary reason for this is falling at the hands of the doctors who are being accused of prescribing them too readily. The reality is that opioids quickly lead to physical dependency, even when prescribed for a genuine and justified pain-management reason. Withdrawal symptoms are very unpleasant and can even be dangerous when unmanaged; this leads many to choose to carry on with their opioid use, even after the original source of pain has been resolved. Addiction Helper are all too aware of the vast increase of individuals addicted to commonly prescribed opioids/synthetic opioids such as Tramadol, Codeine, and even Oxycontin. This page is aimed at educating you on the facts of Tramadol addiction, the associated dangers, the withdrawal effects, the statistics on Tramadol abuse, and more importantly – how we can help you or a loved one to access the correct treatment to become free from addiction to Tramadol once and for all. Tramadol has attracted a lot of media attention recently due to its dangerous and addictive properties becoming more and more apparent. 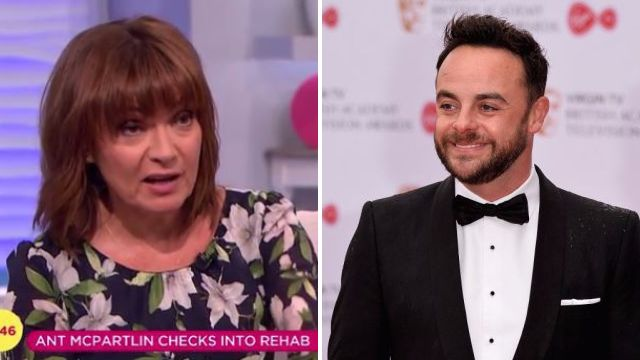 Popular TV presenter Ant McPartlin was recently admitted to an alcohol and drug rehab for a longstanding Tramadol addiction and severe alcohol dependence. His admission has created more public awareness around the dangers of prescribed drugs, in particular Tramadol. The reality TV star host, who is estimated to be worth £60 Million, originally started taking prescribed Tramadol for an operation on his knee that had gone wrong; it had left him in excruciating pain. Over time and as his tolerance to Tramadol grew, so did his addiction. But as his addiction was so well hidden, with his polished performances on TV. When his addiction was announced, it came as a great shock to the general public. This goes to show how easily prescription drug addiction can be hidden, even by someone who is very much in the public eye. Addiction really can affect anyone, and some addictions to prescription pills start out very innocently, with a genuine need for pain relief. Addiction Helper think that Ant was very brave in admitting his problem so publicly and in seeking appropriate help; by doing so, he will have encouraged others to do the same, or at least ask themselves, do I have a problem? Newspapers and TV news programmes are reporting on more and more cases of individuals dying from opioid overdose or misuse, with Tramadol being a growing contributing factor. ‘I was on Tramadol, and it really is seductive. I wanted the pain in the end, but just it makes everything fantastic. ‘I actually came off it before, I actually wanted the pain. It makes everything fantastic but your head is full of cotton wool. It’s horrible and it’s not real. Lorraine was originally prescribed the strong opiate-type pain reliever in 2012 after an accident. Luckily for Lorraine, she spotted the warning signs and stopped taking it. She expressed her understanding of how easily an individual can become addicted to Tramadol, due to its initial euphoric effects that are psychologically very attractive. Tramadol is not dangerous, when taken exactly as prescribed, although it is still likely to lead to a physical and psychological dependency very quickly. When mixed with alcohol, other drugs, or is abused, it then becomes potentially lethal. In the latest statistics released by ONS (Office for National Statistics), Tramadol was cited as the main contributing factor in 208 deaths in England and Wales in 2015. In 2014, Tramadol was linked to 240 deaths, only seven less than those who died from cocaine. Tramadol, a synthetic opioid, is said to be just as addictive as heroin and morphine. Yet it is more readily prescribed than morphine and can be legally obtained with a prescription. 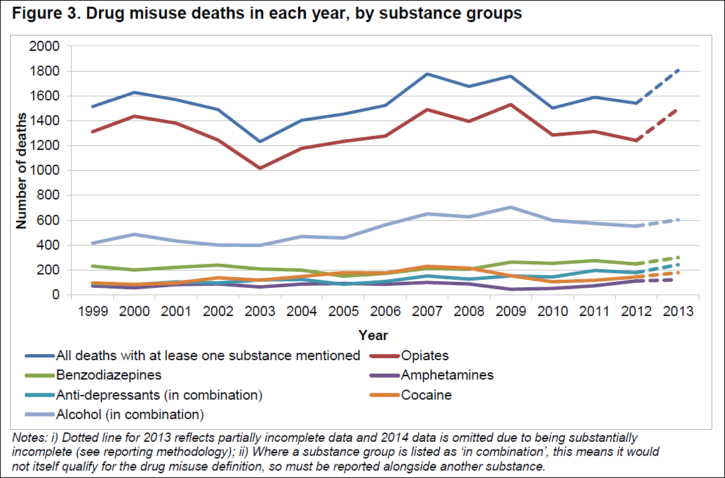 As you can see by the infographic below, recently released by the Office for National Statistics, opioids are the main reason for substance-misuse deaths each year. These statistics include prescription opioids such as Tramadol, Morphine, and Oxycontin. It is estimated that these figures will continue to rise. According to one of the UK’s top pathologists, Professor Jack Crane, Tramadol is claiming more lives than heroin and cocaine in today’s society and should be upgraded from a Class C controlled drug to a Class A controlled drug. Every day, thousands of individuals are taking this deadly, prescribed drug, completely unaware of its addictive properties, of its euphoric effects, or of its dangers as a whole. Public Health England is calling for more stringent procedures to be carried out by GPs when it comes to prescribing opioids for pain management. This can only be a good thing for the public in general; but for those already addicted, it is likely that they will resort to other methods to get supplied when their prescriptions are stopped. Buying Tramadol from the black market (i.e. off the internet without prescription or from street dealers) is becoming more and more frequent; those that are buying pay high prices to get their hands on the drug and don’t really know what they are getting in return. They are buying in bulk to save money; thus, there is the temptation to take more and more. This is impacting every aspect of these addicted individuals’ being: financially, physically, mentally, socially, and morally. Given that opiates are mentioned in more than 80% of the drug misuse deaths, it is to be hoped that the increased availability of naloxone (a drug which reverses opiate overdoses) will have a positive impact. It would be seen in next year’s figures. 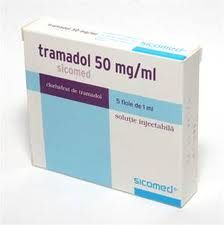 In order for this to work in the case of Tramadol, medical institutions, prescribers, GPs and local drug and alcohol teams need to raise awareness and educate patients, the general public, and schools as to the dangers of abusing Tramadol and the treatments available in the event of an overdose. Tramadol is a synthetic opioid and is often referred to as a “narcotic painkiller”. Tramadol is used for the relief of moderate to severe pain. Once taken, the body metabolises it to O-desmethyltramadol, a more potent opioid. It works on a twofold basis: firstly, by binding to the body’s opioid receptors – providing pain relief by blocking pain signals to the brain; secondly, by inhibiting the reuptake of serotonin and norepinephrine into the brain. This makes these two “feel-good” chemicals more readily available in the brain by inhibiting their reabsorption. Serotonin is the brain’s organic “feel-good” chemical that regulates emotions and sleep, stimulates motivation and provides a general sense of wellbeing. Norepinephrine, also an organic chemical produced by the brain, increases arousal and alertness, promotes vigilance, enhances retrieval of memory, and increases attention; it also increases restlessness and anxiety. It has been found that those that take SSRIs (Selective serotonin reuptake inhibitors) or SNRIs (Serotonin-norepinephrine reuptake inhibitors) are at higher risk of developing Serotonin Syndrome, when taken in combination with high levels of Tramadol. This is a very serious illness and can be fatal if left untreated. SNRIs are a class of antidepressants used in the treatment of major depressive disorders. They are also successful in treating anxiety disorders, obsessive compulsive disorders, ADHD, and chronic neuropathic pain. This goes a long way to explaining the euphoric high that users gain from taking tramadol and its effects on the central nervous system. Basically, they are increasing their Serotonin and Norepinephrine available in the brain by inhibiting the absorption. This is why research into Tramadol as a treatment method for major depressive illnesses has been conducted by scientists. Tramadol has been found to hit a baseline in pain management and in its euphoric effects, this means that the user’s body and brain eventually stop gaining any beneficial effects once tolerant to the drug. The pain-relieving effects of Tramadol are found to be equal to that of Pethidine and Codeine. Although only a tenth as strong as morphine, it has been proven to be equally addictive. In moderate pain, it has been proven to have the same pain relieving effects as morphine, but not so with severe pain. This is when the difference in strength will be felt. The dosage of Tramadol prescribed will be dependent on the individual’s levels of pain, their age, gender, any other medications they are taking, and their response to the drug. 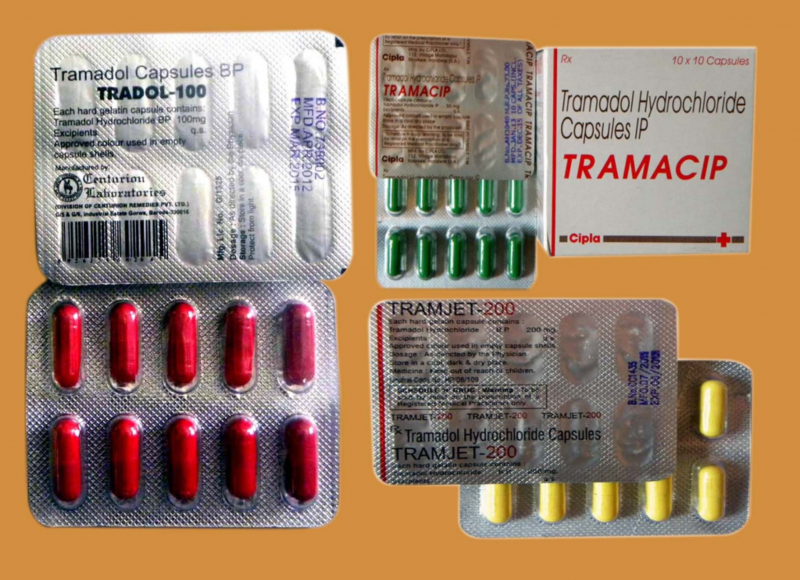 Tramadol, often dispensed under the brand name of Ultram, can be administered orally, in capsule form, or in a syrup. It can also be injected under medical supervision and is available through slow-release transdermal patches or oral capsules which are stronger in potency. Capsules generally come in 25mg, 50mg and 100mg. For chronic pain, it is recommended to take two 50mg capsules every four to six hours with a maximum dosage of 400mgs over a 24 hour period. For acute pain, such as postoperative pain, it is recommended the dosage should be one to two capsules three to four times a day, depending on the level of pain present. This medication is not suitable for children under the age of 12. In patients with long term chronic pain, such as cancer patients, it is common for the transdermal patches or slow-release capsules to be prescribed. Slow-release capsules, which come in much higher strengths, have the most potential to be abused for those seeking the euphoric heroin-like high. It is vital that, if you are taking Tramadol regularly, you do not stop the medication suddenly. This can result in very severe withdrawal symptoms which, if unmanaged, can be fatal. If you are thinking about stopping Tramadol, it is of the utmost important that you seek medical advice first before attempting it on your own. Driving whilst impaired under the influence of any drug, even prescription medications, is classified the same as drink driving. Tramadol can seriously slow down your reactions, impair your cognitive decision making, and cause drowsiness. With some drugs, if still affected, it is illegal to drive the next day also. It is important that, if you are negatively affected with drowsiness and any other side effects that may affect your ability to drive safely, you do not drive. Being caught by the police and being considered unfit to drive can carry heavy penalties and fines, not to forget the fact that you are putting yourself and others at great risk! Mixing Tramadol with Other Substances – a Lethal Concoction! Tramadol is potentially fatal when used alongside other opioids, alcohol, sedatives, tranquilizers, narcotics or MAO inhibitors. All of these drugs increase the risk of respiratory arrest when taken with Tramadol. It is important to be honest with your GP if they are considering prescribing you Tramadol. Exceptional care should also be taken if you have or have previously had an addiction or abuse problem with alcohol or drugs. 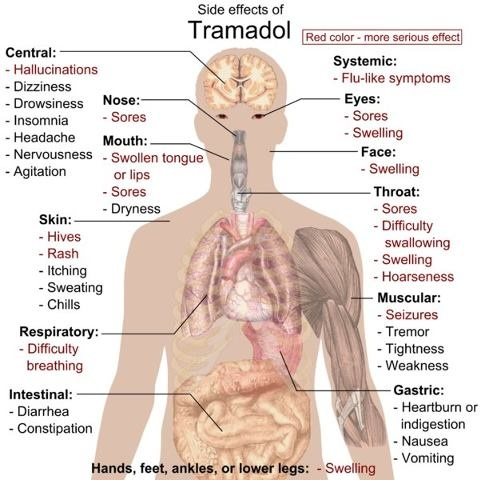 The vast majority of fatalities that are attributed to Tramadol occur when individuals abuse the medication or take it with another substance for enhanced euphoria or oblivion. It is therefore vital that you are completely honest with yourself and your GP before considering taking this medication. This could indeed save your life! Since its first introduction on to the market in 1995, doctors were fooled into believing Tramadol was the most harmless in terms of pain relieving drugs out of all the opioid painkillers available. Great expectations were held by medical professionals around the world with its first introduction. They believed that its strong pain relieving effects, alongside its reduced side effects and addictive properties, made it a breakthrough drug in terms of treating long term chronic pain conditions. Today the truth is being revealed and accounted for, with a record number of admissions to A&E departments and deaths attributed to abuse of this drug around the world. Initially, it was thought that Tramadol would be less addictive than other opioid pain relievers, but due to the intense euphoric effects, especially when taken in high doses, this makes it even more appealing to those seeking to get high from the drug; therefore more prone to becoming addicted. Evidence proves that, when abused, it does indeed produce a euphoric effect similar to that of morphine and heroin. In some individuals, it has been proven that even the basic recommended dosage promotes false feelings of wellbeing, reduced anxiety, and warmth. Tramadol can produce many unwanted side effects in some individuals, the side effects that are red-flagged on the diagram below should be immediately reported to your GP or nearest Emergency department. Some side effects can be indicative of an allergic reaction and, although less common, it is important to seek medical help immediately and not take any more Tramadol in the meantime. Mixing Tramadol with other substances, taking more than the stated dose, or ingesting through a means other than recommended – these are all types of Tramadol abuse and all very, very dangerous. So dangerous, that they could land you or a loved one up in the nearest A&E department, or worse. 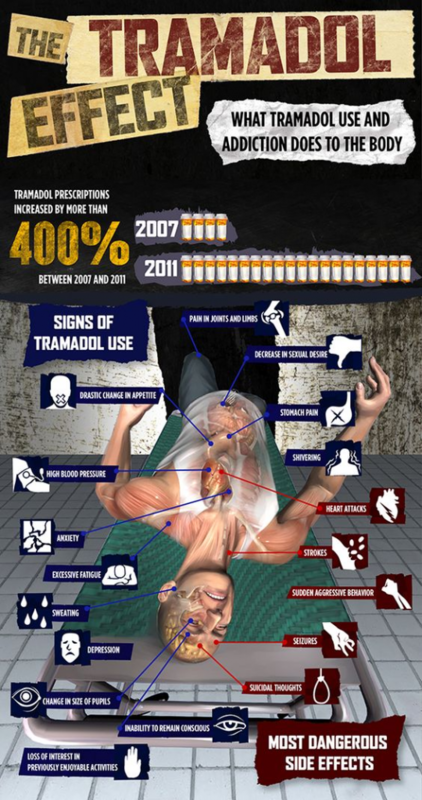 It is important not to underestimate the dangers of Tramadol just because it is a prescribed drug. Many teenagers will abuse prescription drugs, believing them to be safe. It is important to educate everyone on the facts and associated dangers of prescribed opiates. As a synthetic opioid, Tramadol mimics the effects of non-synthetic opioids. Chemically it is more complex, which could explain why it is that much more dangerous, addictive, and difficult to withdraw from. You are prescribed Tramadol, but take more than the prescribed amount for greater effect; using different doctors or manipulate your GP for additional prescriptions. 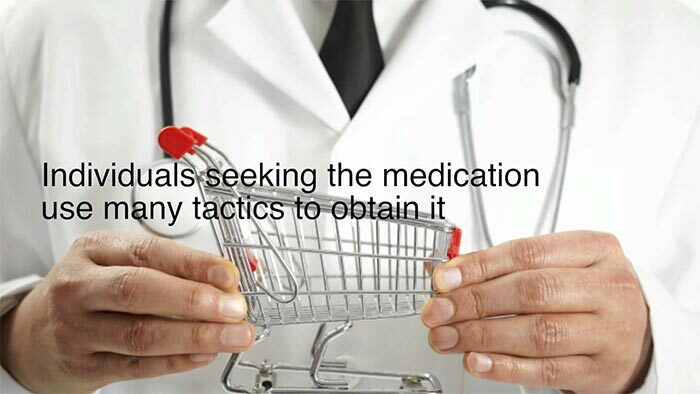 You paid out your Tramadol prescriptions by buying additional supplies off the street or from the internet. You are using Tramadol that is NOT prescribed for you. You binge on Tramadol or mix them with other drugs to gain a greater effect. You snort or inject Tramadol for a greater effect. You hide or are dishonest about your Tramadol use to others. You have suffered consequences as a result your Tramadol use financially, emotionally, physically, and to your personal relationships; yet, still feel compelled to carry on using them. You are using Tramadol purely for the euphoric effects and not for a genuine medical complaint. You no longer gain the effect you crave from Tramadol so have resorted to using illicit or legal drugs on top. You want to stop, have tried to stop, but are struggling to achieve it. You stand to lose everything precious to you if you continue to use/abuse Tramadol, but find yourself compelled to keep using it. You have engaged in immoral or criminal activity whilst high on Tramadol. You use Tramadol to block out the world and your problems. Tramadol is causing you mental or physical health issues, yet you still cannot stop using it. Once you start taking Tramadol, you often take more than you originally intended to. Friends and family have expressed concern over your behaviour or appearance related to your Tramadol use. You continue, to either use Tramadol originally prescribed for a genuine medical complaint that has been resolved or lie to your GP about your symptoms to continue access to prescriptions. You have become withdrawn and lost interest in family, loved ones, and the things you used to enjoy. You cannot imagine a life without Tramadol, yet know it is now causing you and those you love a great deal of harm. Your Tramadol use is making you feel anxious, depressed, and suicidal. You suffer withdrawal symptoms if you miss a dose or are unable to get Tramadol. If you recognise any of these symptoms within yourself as Tramadol user, or in someone you know, please seek help. Our LIVE Chat and phone advisors are experienced and can help you and your loved one. Tramadol can cause a physical and psychological dependency very quickly. The most definitive way to find out if you have a physical dependency is to miss or delay a dose. We are not suggesting you stop altogether, as this could be very dangerous if you are physically dependent. Any withdrawal from a Tramadol dependency should be medically managed very carefully to reduce the risk of any potential dangerous symptoms from developing. Dependence to Tramadol occurs when the individual has become tolerant – this also happens in those that are taking it as prescribed for a genuine medical complaint. Once a dependency has occurred, the individual will experience withdrawal symptoms if they try to stop or reduce. Tolerance to Tramadol occurs when the body and brain of the user has adjusted to having a certain dosage of Tramadol in their body, and so it loses its effect both in terms of pain-relieving and euphoric effects. The individual will have to increase the dose in order to gain the original effects of the drug. This is a never-ending cycle as the body and brain keep adjusting its tolerance to the new higher dosage. Withdrawal symptoms that are in bold require immediate emergency treatment. Neglecting to seek help could put your life at great risk. We would recommend not, unless absolutely necessary. It’s only on a very short-term basis, is prescribed and overseen by your GP or consultant, and the prescription is adhered to. 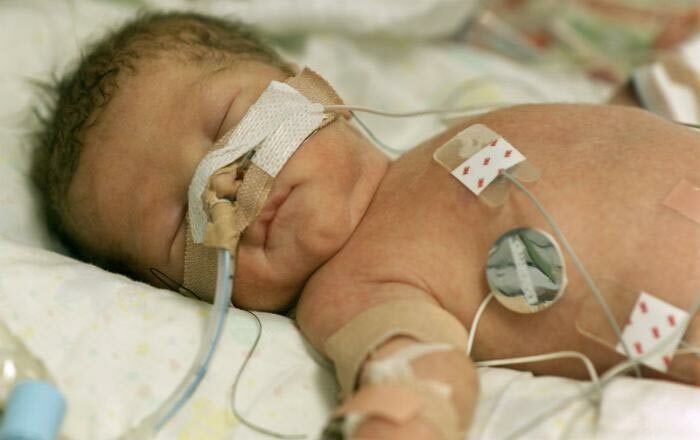 Babies that are born to mothers with a Tramadol addiction will have to go through an opiate withdrawal themselves once born. Whatever you put into your body during pregnancy, is also absorbed by your unborn baby. 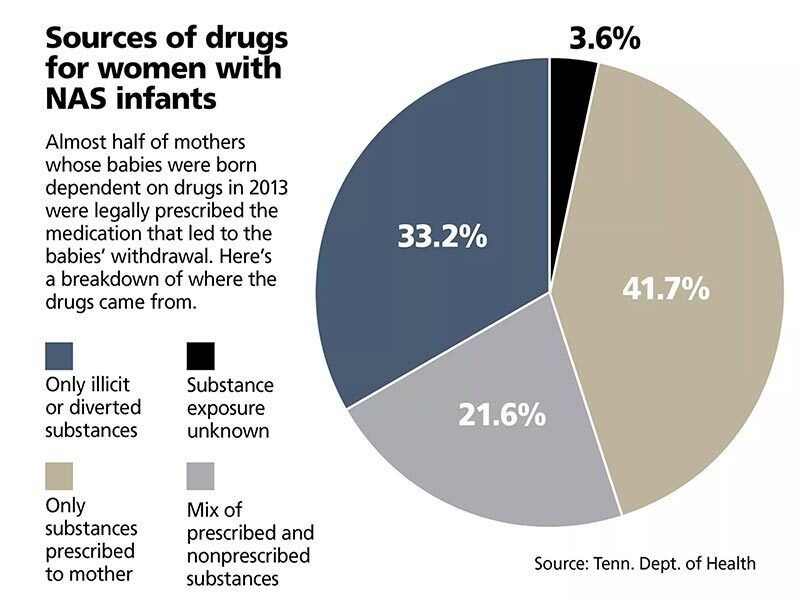 Opiate withdrawal in babies is very unpleasant, distressing, and dangerous. Your baby, once born, will have to be extremely carefully monitored and is likely to be kept under close observation in hospital. If you are pregnant and already have a Tramadol dependency, please seek help urgently. Addiction Helper facilitate inpatient medical detoxes for pregnant women with 24/7 nursing care and supervision to ensure that you and your baby remain safe throughout the detox process. We will do everything within our power to give you and your unborn child the best start possible to parenthood, drug free! Please call us now or chat to us LIVE, for a free assessment and advice on the best treatment options available for you and your unborn child. If you are planning on stopping Tramadol, it is essential that you seek medical or professional help and advice first, so that you can be weaned off it at a pace that is safe for your body and mind. Addiction treatment on the NHS for prescription drugs is very limited. A Doctor can put you on a tapering off regime and you can seek help and support from your local Drug and Alcohol team, but because it is a prescription medication, unless you are also have a Class A opiate or alcohol addiction, it is rare that you would be considered for rehab funding. Funding is very limited and so tends to be reserved for Class A opiate users and Alcoholics, which cause the highest mortality rate and impact on society in general. By engaging with your local drug and alcohol team, you can access free support without going through your GP; you will gain support, knowledge and motivation from attending group sessions and keyworker one to ones. Are There Meetings for Tramadol Addicts and Their Families? There are a number of self-help groups available; Narcotics Anonymous cover all drugs, including prescriptions pills, you can find a meeting near you by visiting their page. Smart Recovery groups are also helpful in providing support and motivation, you can find details of their meetings. There are also a number of support groups for families of those with an addiction problem, they include ADFAM and FAMANON. If you have an addiction or abuse problem with Tramadol and have come to a point where you no longer want to take it, you will naturally want to know what the options are when it comes to stopping Tramadol safely. Detoxing is only the start of recovery. Addiction is an illness of the mind. It has been recognised by medical professionals around the world as a “chronic relapsing brain disease” that over time, if left untreated, only ever gets progressively worse. Those who have managed to stop for a period of time, only to relapse on Tramadol further down the line, will very much identify with this definition of what addiction is. The first step to recovery from any addiction is to admit you have a problem and ask for help. Many individuals find that their pride, guilt, shame, and the fear of being judged prevent them from doing this. It takes a lot of courage to ask for help and to admit that you have lost control. Please, remember that having the disease of addiction is not your fault; it is no one’s fault. But it is up to you to take responsibility and ask for help and seek the correct treatment. This can be the difference between life and death. When it comes to detoxing from Tramadol, we do not recommend that you attempt it without seeking professional guidance and advice first. Many factors need to be taken into consideration when planning a safe detox regime and by not doing it correctly you will be at far higher risk of suffering dangerous withdrawal effects and failing to complete the detox. Undergo a full medical detox within the safe environment of a rehab or detox clinic, where you will be medically monitored and supervised throughout. Be completely honest with your GP or drug worker, so that they can work out a suitable tapering-off regime and support you for the duration within the community. Inpatient medical detoxes show by far the highest success rate, this is due to the fact that the detoxification is taken out of the patients control and they are no longer trying to self-manage a substance they have little or no control over. Temptation to cheat on a detox is also completely removed, as they are within a safe and secure environment that is abstinence-based. There is no access to pills, drugs, or alcohol; all approved medications are dispensed under strict supervision by staff members who are qualified to do it. 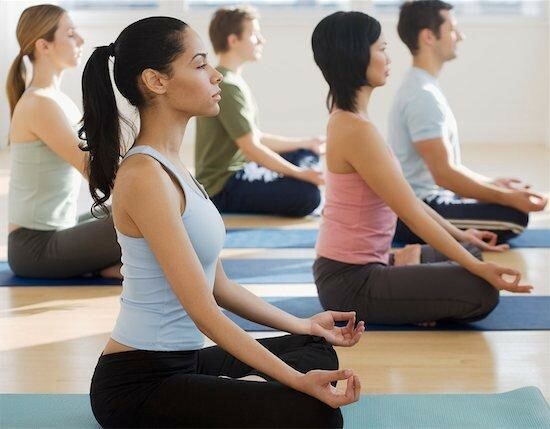 In addition to these benefits, by undergoing a full medical inpatient detox you will be with like-minded others going through similar detoxes and with a common goal – to achieve recovery from addiction. There is much strength to be found in peers supporting one another. The rehabs that Addiction Helper work with are all CQC-regulated, assuring you of the highest standards of care possible; they are able to facilitate around the clock medical/nursing care and psychological support. This is hugely important to the successful completion of any detox, as your body and mind will naturally be craving the drug you are trying to stop. Professional psychological support is invaluable, as is a structured recovery programme. For an individual who has an addiction to Tramadol, it is essential that they seek both medical and professional psychological help. The quickest way to access rehab for a Tramadol addiction is through a private addiction rehab. Addiction Helper are able to facilitate immediate and same-day admissions for those in crisis. Some individuals need to be taken out of the toxic environment they have submerged themselves into, away from temptation and the daily pressures of life in order to get well. Addiction Helper strongly recommends inpatient medical detoxification and rehabilitation for this particular addiction, due to the dangers and complications that can arise whilst withdrawing from Tramadol. This is especially important in cases where there is a high level of Tramadol dependency, a dual diagnosis, or where there is another dependency to alcohol or drugs present. Our exemplary addiction rehab centres provide a full medical detox regime for those with a physical dependency to Tramadol or any other kind of prescription pill, alcohol or illicit drug. The detox will be carefully monitored throughout, by medical and therapeutic staff to ensure the patient’s safety at all times. We only work with CQC-regulated treatment centres and have access to over 100 addiction treatment rehabs within the UK, and also to some elite and luxurious rehabs abroad. All of our approved rehabs adhere to strict medical and therapeutic guidelines and policies at all times. Addiction Helper specialises in treating addiction; we understand that addiction is both a physical and mental illness and that both aspects need to be comprehensively treated in order to avoid relapse. By calling us, you will receive a comprehensive assessment free of charge, conducted by one of our addiction treatment experts; who will then make an informed decision as to the best and most successful treatment options available to you. We take all factors into consideration when treating addiction, to ensure that you are happy with your choice of rehab and that you have the best chance of a full and long term recovery. We can find you or your loved one the ideal treatment plan and rehab facility in which to recover from an addiction to Tramadol and any other addictions or illnesses that are present. We offer specialist inpatient treatment ranging from affordable to luxury detox and rehabilitation, with locations all over the UK and also overseas. We also offer short term and long term programmes, including secondary, extended tertiary care, and sober living accommodation. The duration of treatment required to get you or your loved one well, will depend on individual circumstances, the severity of the addiction, and if any other substances or illnesses are involved. We are also able to fully treat co-occurring illnesses such as Depression, Anxiety, Eating Disorders, OCD and Posttraumatic Stress (PTSD). These conditions often underlie a substance or activity addiction, so it is imperative that they are all treated simultaneously and comprehensively. Following a successful medical detoxification from Tramadol, the individual will then ideally undergo a full rehabilitation programme to address the psychological aspect of their addiction. Our rehabs are staffed by experienced and fully qualified addiction treatment experts, including doctors, nurses, counsellors, psychotherapists, psychiatrists, holistic therapists, and highly trained and experienced support workers. Many of our staff are in recovery themselves, so have a unique insight and understanding of the addicts brain and associated maladaptive and destructive behaviours. Our Tramadol addiction treatment centres only deliver the latest in evidence-based addiction therapeutic and medical treatments such as: a full medical detox, one-to-one counselling, process groups, trauma therapy, CBT, DBT, 12 Step therapy, group therapy, educational workshops, relapse prevention techniques, mindfulness, meditation, fitness programme, healthy eating programme, holistic programme, and much, much more! Each individual’s treatment programme is specifically tailored to their medical, physical, social, emotional, spiritual, and psychological treatment needs. We treat the individual as a whole, using person-centred treatment techniques. Failing to treat the psychological aspect of a Tramadol addiction and the issues underpinning it, will usually result in relapse. For this particular addiction, full inpatient residential detox and rehabilitation provides the individual with the best chance of staying permanently free from Tramadol and other addictive substances or medications in future. Furthermore, all patients that complete their Tramadol treatment programme will also receive 12 months complimentary aftercare at their chosen rehab. We consider this vital to the individual’s ongoing recovery and growth. It also assists with keeping the individual inspired and engaged in the recovery process and helps them to overcome any problems and challenges they may be facing back in their home environment. Tramadol addiction and abuse is a killer illness and can affect anyone; if you or a loved one are suffering from a Tramadol addiction or an abuse problem, it is important you seek help immediately. Call us now, or chat to us LIVE; we are open 24/7 and waiting for your call. We can help you take the first steps in breaking free from prescription pill addiction permanently!